For many years men have preferred the rugged look and skin care products have been thought of something that only women use. Today’s man however wants to maintain his youthful handsomeness by maintaining a skin care regimen different from his predecessor that may have just included washing his face with hand soap and covering his shaving nicks with small bits of toilet paper. It is important for men to learn ways of taking care of their skins in a natural way as most over the counter products contain harsh chemicals that can cause more damage to the skin. Natural skin care for men is not as complicated as some men think . Cleansing your skin is compulsory! Cleansing your skin just means washing your face every morning and evening before going to bed to prevent skin damage. On a daily basis Men’s skin just like women’s is exposed to car smoke,pollution,cigarette smoke that contain tiny particles (not even visible to the human eye ) that land on the skin and cause damage . Men generally have oilier skin than women ,when cleansing men should use a good facial cleanser that targets their oily skin for best results to prevent excess oil from clogging the skin pores resulting in breakouts.Ordinary soaps can be ineffective as they contain detergents that can be harsh and dehydrating on the skin. It is important for men to clean their faces using a different soap apart from the one they use on the rest of the body. This is because different parts of the body have varying levels of PH, oils, and bacteria. The skin maintains a delicate balance at all times contrary to many standard soaps that contain sulfates that disrupt the same. Many should embrace a daily routine to wash their faces as they have oilier and larger skin pores. They should not use standard soap as it tends to cause uneven tone of the skin, irritation, breakouts and clogs the pores. Soaps containing sulfates remove oils hence exposing the skin to unwanted chemicals. Moisturizing can make a whole lot of difference in a man’s skin appearance in fact men need to moisturize more than women because they shave their faces a lot .When men shave they not only get rid of facial hair but also essential oils from their skin, most men after shaving use a alcohol based lotion that further dehydrates the skin .A moisturizer will help the skin regain its moisture content and prevents razor burns. The eyes are the window to the soul so the adage goes in fact the very first signs of aging start to show around the eyes and most men tend to neglect their eyes .The skin surrounding the eyes lacks sweat and oil glands hence its more vulnerable to dehydration which manifests itself through wrinkles and fine lines. This skin is also very thin and soft resulting in expression lines that can grow into wrinkles. Men should therefore invest in a hydrating cream that they use every morning and evening before sleeping and after cleansing. Our lips are another part of our skin that drastically age and unlike women who can cover up with lip sticks, lip liners and lip glosses men have to deal with it.The lip area just like the eye area lacks sweat and oil glands and the protective layer available in other parts of the body for protection .Men should therefore use a lip balm with SPF protection throughout the day. Hydration is essential to keeping skin looking younger therefore ensure that you take the daily recommended water intake of six to eight glasses. A well balanced diet high in vegetables and fruits, lean meats and complex crabs is a man’s best bet against premature aging. Consume vegetables and fruits as they contain antioxidant substances that help to hold up skin tissues. One could also take a multivitamin that contains numerous antioxidants accompanied with an e vitamin. Avoid toasted or fried food. Prepare foods using organic olive oil rather than butter. It helps the skin maintain it strength and fitness. Strive to acquire healthy looking skin by taking foods rich in omega three fatty acids and other vitamins. Exercises increases blood flow which results in increased collagen production so even if you are on your work desk all day a brisk walk is a great way of men to naturally take care of their skin. Men usually spend a lot more time in the sun given their jobs and recreational activities hence suffering more from sun related skin damage in comparison to women. The most natural skin care tip for men is to avoid the sun especially from 10am to 4pm when the sun rays are strongest .This however may not always be possible, if you have to be outside ensure you put on good sunscreen with at least an SPF 15. Every skin type is very different and very few men bother to learn their skin type however one can one only choose a natural skin care regime if they know their skin type. Even though the beauty industry mostly caters for women, it is equally important for men to look good too through taking care of their own physical appearance and skin. 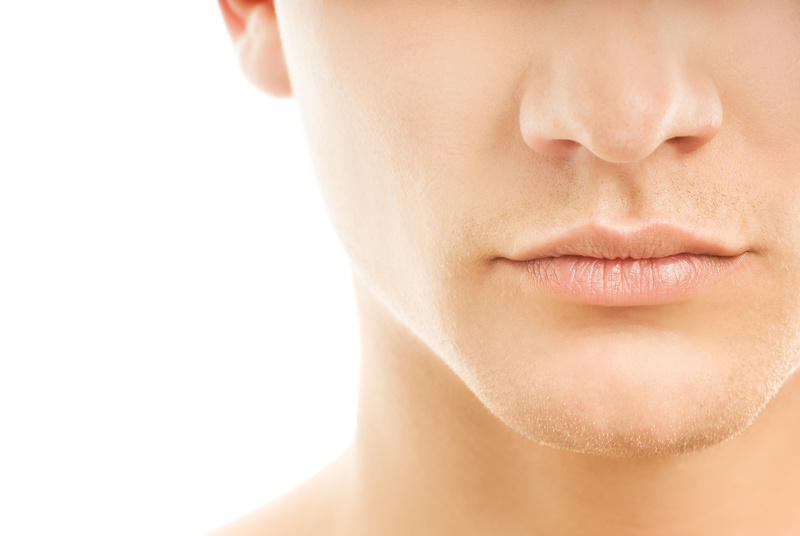 With common basic upkeep, men can acquire more confidence and look their best too. Most men find it overwhelming to maintain an expensive and full beauty routine. However, there are other alternatives. Options to maintain natural beauty can be easily incorporated in any man’s everyday routine hence becoming beneficial long-term. Some of the natural tips that men can embrace include. Shaving a common routine for most men and helps in exfoliation, softening and acquiring a well groomed appearance. One is required to loosen the strands of hair using hot water, then apply a moisturizer before the cream for shaving. The skin absorbs the moisturizer as the foam settles on the top. Apply the cream and shave using small strokes for a smoother shave and maximum coverage by the blade. One then rinses with lukewarm water followed by cold water in order to ensure a tight skin. Finally, it is advisable to apply an after shave lotion rather than a cologne in order to cool any form of burning. It is also crucial to use a fresh and clean blade and discard monthly or anytime depending on your frequency of using it. Shaving on a moist skin is advisable as a dry one does not offer the slip needed for the blade to glide which may result to one nicking themselves. Exfoliation is the process of getting rid of dead skin cells to reveal the new skin beneath the surface the skin normally exfoliates naturally however as men get older the process slows down. Exfoliation is a bonus for men as it softens the hair follicles resulting in a less irritating shave. Exfoliation can be done using home made products or a good exfoliate and only needs to be done once or twice in a week.This is an important procedure especially for skin that is prone to frequent breakouts. It helps bring up the oil towards the surface allowing for treatment before formation of spots. Use a soft cotton cloth or brush to gently massage the exfoliate on the surface of the skin at least once every week. It is also advisable to do exfoliation after performing activities like working in the yard, playing games and repair of auto. The best method to exfoliate is by using a face scrub and some lukewarm water. Scrub the size of nickel is enough to perform the procedure. Rub the scrub gently using fingertips and hands as the skin is a very sensitive part of the body. You should then allow it to settle for one minute. This allows the scrub to break down all the dirt and dead cells. Finally, rinse the face and pat for it to dry. Majority of white skinned men above the age of 40 are prone to melanoma. Also, the majority of the 39,000 new cases are diagnosed in men compared to the 29,000 in women. To avoid the above condition, it is important for men to apply sunscreen in order to defend the skin against harsh environments and wrinkles. A sunscreen with a SPF rating of 15 is the most suitable. Apply the sunscreen 30 minutes prior to exposure to the sun rays. This is in order to allow it to penetrate the depths of the skin. One could also opt for a moisturizer that contains sunscreen hence a combination of two important skin care steps.Use the above natural tips for good overall health.